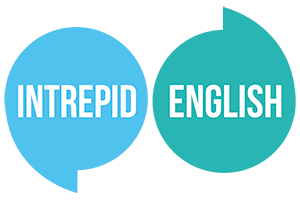 At Intrepid English, one of the most common questions we get asked by our students is, “what are the most effective and efficient ways to learn?” Everyone wants to find the fastest, easiest way to learn and remember vocabulary, grammar and pronunciation. The reason this question is tricky to answer is that each student learns in their own unique way. The good news is; science can help us to understand the methods that work best for many of us, and you may be surprised to learn what they are. Did you know that exercise can improve our ability to learn and remember things? Studies have shown that learning new vocabulary whilst doing some gentle exercise increases our ability to remember what we have learned. Exercising while learning is very effective. It's even more effective when that is combined with what is known as Active Learning. Active Learning is when we learn by interacting with content. For example, if you learn vocabulary about castles in the morning, and then visit Edinburgh Castle later that day…that’s Active Learning. You are engaging with a castle and helping your brain to remember all the vocabulary about castles that you learned earlier that day. Here at Intrepid English, we’re combining English and gentle exercise to make your learning journey as fun and as easy as possible. How? Our Edinburgh Intrepid English Experience offers a whole week of immersive English lessons while you explore the beautiful, historic city of Edinburgh. Each morning, you’ll have tailor-made English lessons designed to teach you useful and interesting English vocabulary, pronunciation and grammar. 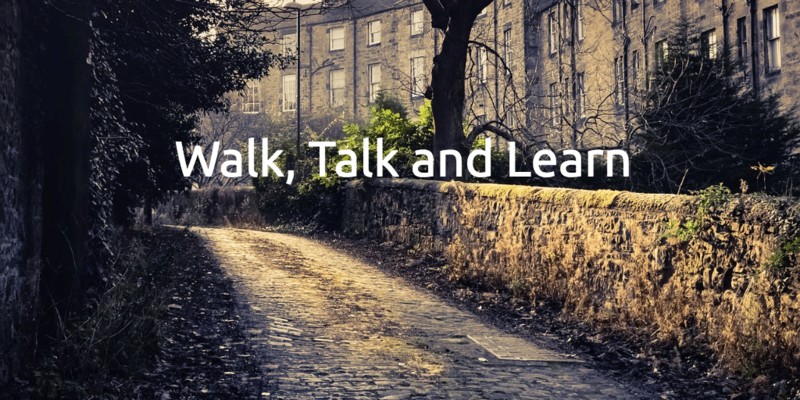 Then, you’ll be guided on a walking tour around Edinburgh with our local expert, giving you the opportunity to use all the new things you learned that day. Walking will give you the exercise you need to help you remember your new vocabulary, giving your brain an extra boost of power and providing you with the opportunity to use the language that you have learned with your teacher and fellow students. Exercising while learning and practising English not only enhances our memories and keeps us fit, but when combined with Active Learning, makes sure you maximise your English learning experience. If you think this sounds like a great way to learn, why not join our Edinburgh Intrepid English Experience. We can’t wait to welcome you to Edinburgh and to walk and talk with you while you learn English and have fun! The Edinburgh Intrepid English Experience is now fully booked for this year, but we are now taking bookings for the course in May 2019 and September 2019. If you would like to join us on either course, please email us at Intrepid English to find out more. Details will be released soon, so make sure you sign up for our newsletter to get all the latest news and English language tips straight to your inbox.